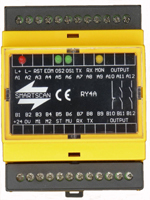 Please find Smartscan’s range of machine safety Products listed below. Smartscan offers solutions for all your machine safety needs from safety products to services such as machine safety consultancy and safety product installation. Each product section below provides links to the full product information. 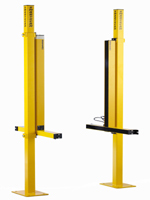 T4 series safety light curtains are designed for high risk applications, ISO 13849-1 PL e control equipment. 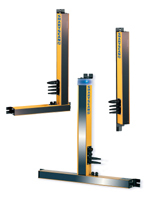 Typical applications might include, presses, press brakes, metal folding machines and guillotines. 1000 Plus series safety light curtains are designed for low to medium risk applications, ISO 13849-1 PL d control equipment. Typical applications might include, general purpose machines and packaging machines. 8000 series safety light curtains are designed for low to medium risk applications, ISO 13849-1 PL d control equipment. Typical applications might include, palletisers and de-palletisers, stretch wrapping machinery, pallet strapping machinery and automated warehouses. 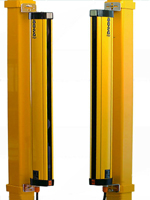 8000 Plus series safety light curtains are designed for medium risk applications, ISO 13849-1 PL d control equipment. 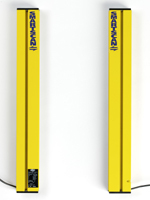 5K8 series safety light curtains are designed for low to medium risk applications, ISO 13849-1 PL d control equipment. 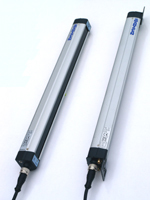 The 5K8 series has been designed as a plug and play replacement for the Smartscan 5000AP series safety light curtain. Magsafe safety gate interlocking systems are designed for high risk applications, ISO 13849-1 PL e control equipment. Typical applications might include, controlling entry via access gates into hazardous machinery where a run down time is required to allow for safe stopping of the machine before entry. Integron safety PLC systems are designed for low, medium and high risk applications, BS EN 954-1, Category 4 control equipment. Typical applications might include, controlling two or three safety devices on a single machine through to multiple safety devices across several safety zones. 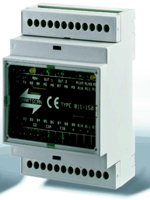 Multifunction safety units are designed for medium and high risk applications up to, ISO 13849-1 PL d and e control equipment. Typical applications might include, use in conjunction with a T4 Series or 1000 Plus Series safety light guard to provide relay output and E-Stop functions. 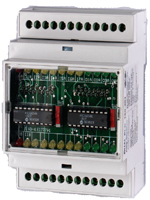 The RY4 Series provides a range of dedicated safety relay output units for the T4 series safety light curtain. They have been designed to simplify connection and help reduce installation time and costs. Options for 2 N/O and 3 N/O safety contacts are available plus an innovative RJ45 connection option with the RY4C unit. M series non-safety light curtains are designed for process control and non-safety machine protection where physical space is at a premium. Typical applications might include, parts detection and counting. 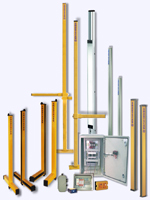 N series non-safety light curtains are designed for process control and non-safety machine protection. A choice of Accessories is available from Smartscan to enhance the flexibility of its product range. Options include bespoke safety control panels, mounting stands, mirror systems, plus many others.